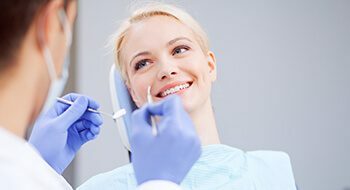 Our office offers every aspect of dental care, from the basics of preventive dentistry for your entire family to complex restorative dental care treatments designed to correct damage and get your smile back into shape. However, we also offer a number of cosmetic dentistry treatments because we know that your confidence is just as important as your health. Dr. Garrett Mulkey enjoys focusing his efforts on the cosmetic aspects of dentistry as much as possible at Cosmetic & Family Dentistry of Weatherford because there is no better feeling than changing someone’s life by making them proud of their beautiful smile. If you’re ready to get the smile you’ve always wanted, be sure to contact our office today for an appointment. We’re happy to serve patients from Weatherford, Aledo, Brock, Millsap, Mineral Wells, Springtown, and beyond. 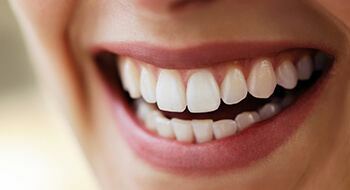 Porcelain veneers are very thin shells of tooth-shaped porcelain that are placed on the front of the teeth to correct problems with their appearance. This is a fairly simple way to completely change the look of your smile, correcting a number of cosmetic issues with a single treatment. Restorations such as crowns and bridges have been made of metal for years because the material is strong, durable, and can be shaped to easily fit in a person’s mouth. The only problem? They were dark gray and really affected the appearance of a person’s smile, and they broadcast to the world that dental work has been done. Even with porcelain fused to metal, an unsightly gray line was always present near the gums. With metal-free restorations, you get all of the benefits of traditional restorations with none of the aesthetic drawbacks. They are made of 100% dental porcelain, which is just as strong and durable as metal, but can be custom-shaded to match a patient’s particular teeth. The process to get them is the same as metal restorations, but the end result will be a tooth that looks great and lasts for decades. The only person who will know that you’ve had teeth repaired is you. It’s amazing how the smallest imperfection can completely throw off the entire look of your smile. A single chipped tooth becomes the first thing you look at in the mirror, and you find yourself constantly running your tongue over it. Wouldn’t it be nice if your dentist could just sculpt it away? With direct bonding, that’s exactly what they can do. With direct bonding, your dentist will apply a putty-like composite resin to your teeth and mold it to repair and mask a wide array of small flaws. It can hide chips and cracks, and even improve the shape, color, and alignment of a few teeth. Your dentist will then use a special curing light to harden the resin in a few minutes, and now your smile is ready for the world! It’s one of the easiest and most cost-effective treatments in all of cosmetic dentistry. However, just because it is fast doesn’t mean it won’t last. With regular home oral hygiene and regular check-ups, your direct bonding can easily last for up to 10 years. Everyone experiences tooth discoloration, but modern dentistry offers a solution. With professional teeth whitening from Cosmetic & Family Dentistry of Weatherford, you can turn back time on your smile, bringing back the brightness of youth. Wouldn’t it be great if you could take those few spare moments you have at home to whiten your smile? With Zoom! Whitening’s DayWhite and NightWhite kits, we let you achieve a drastically brighter smile in the comfort of your own home. You just need to come into our office so we can fit you for a custom-made mouth tray. This will hold the bleaching gel we’ll give you and prevent it from mixing with your saliva (which renders it ineffective). This is a key part of the process because many store bought whitening kits might appear similar, but they are made to fit a wide range of people. The result? Uncomfortable mouth trays that don’t protect the whitening gel. With our kits, your results are always guaranteed. Plus, our whitening gel is much more highly concentrated than anything you’ll find on store shelves, assuring you’ll get a better, longer lasting result every time. You just need to use the kit every day for about 2 weeks as directed to get full results. However, we bet you’ll see a difference after just one treatment!